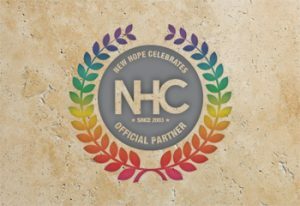 New Hope Celebrates (NHC) Pride in New Hope, PA & Lambertville, NJ – On Saturday, May 12th, New Hope Celebrates will kick-off the 15th Annual Pride Week and PrideFest weekend extravaganza. The week will begin with our inaugural Pride 5K Run and 1 Mile Health Walk, hosted by NHC and the Delaware River Towns Chamber and Visitors Bureau. At noon, NHC will unfurl the official 25 ft Rainbow Equality Flag atop the Delaware House building, which currently houses Starbucks on Bridge St., New Hope, PA, signaling the opening of the annual Pride Celebration. New Hope Celebrates 100 ft. Rainbow Equality Flag! A diverse lineup of entertainment and events is scheduled for the entire week. One of our main sponsors, The Raven, will have dance parties with special DJs, piano sing-a-longs, Sunday brunch on May 20th and the Annual Pool Party closing event. Havana will once again sponsor the annual Ladies 2018 Pride Party with DJ Steven Singer on Sunday, May 20th. In addition, there will be a Service for Justice at St. Philips and gay-themed trivia at Triumph. The highlight of the Festival is the annual Parade and Pride Fair which will be held Saturday, May 19th. 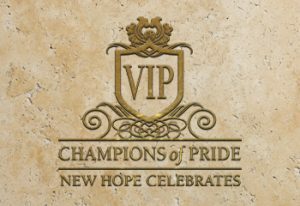 The parade will begin in Lambertville, NJ at 11:30AM, stepping off at City Hall, turning down Bridge Street and crossing over the bridge into New Hope, PA. NHC and its sponsor, Landmark Hospitality’s Logan Inn, will once again present New Hope’s 100 ft long Rainbow Equality Parade Flag which is always the highlight of the Parade! Under the leadership of Jennifer Wohl, the parade has grown in attendance from about 1,000 people the first year to almost 15,000 in 2017 with the number of participants expanding from about 100 to well over 500. Join the party along the streets of town and welcome the parade participants – motorcycles, scooters, floats, decorated vehicles, marching bands such as New York’s Big Apple Corps, Philadelphia Freedom Band and DC Drummers, local businesses, several church groups, local nonprofit organizations and many more marchers. This is the only nationally recognized Pride Parade that crosses state lines to include both Pennsylvania and New Jersey. After the parade, join us for our annual Pride Fair which will be held in the Logan Inn parking lot, featuring many exciting vendors offering arts and crafts, Pride goods and local services. 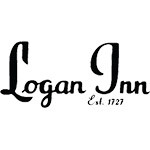 The Logan Inn will offer food and adult beverages. We have also made this area a Smoke Free Zone courtesy of our Partner, The Bradbury – Sullivan Center. All are welcome to attend. The Pride Fair Gates open at noon with a suggested donation of $5. Kids under 16 FREE Admission. There will be dancing in the parking lot and Fair, where we will host LIVE entertainment on our Pride Street Stage. 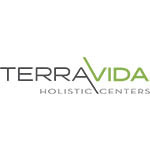 Entertainers include Chris Weaver as “Nedra Belle” as seen on The Voice Finale. This was the first time a drag performer was on mainstream TV! Also, appearing are Christine Martucci, Josh Zuckerman, Leonardo Martinez and Stephanie’s Child. A host of local Queens will also be appearing; Paige Turner, Ginger Alley (Miss NHC 2018), Cyannie Lopez (Miss NHC 2017), Miss Victoria Lace, Miss Pumpkin, Carl Max, Miss Martini Madness and many, many more. Another key part of the celebration is the 4th annual BEST Cocktail Contest sponsored by Tito’s Handmade Vodka and Templeton Rye. Local bars and restaurants will feature specialty drinks from May 12th. through May 20th. Visitors can sample these creative libations and vote for their favorite. 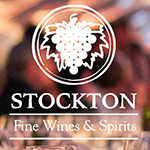 A complete list of participating establishments can be be found online at www.bestcocktailcontest.com. You can vote via any mobile device. More information is available on becoming a Parade participant, PrideFest vendor or to volunteer. New Hope Celebrates (NHC) is a nonprofit organization focused on highlighting the history and cultural nuances of New Hope, PA. while stimulating the retail, hospitality, and professional community. 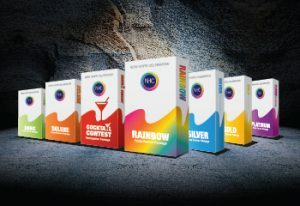 NHC is comprised of a Board that drives activities and events that serve the diverse LGBT populace through the creation and promotion of marketing opportunities, educational activities, and cultural events. One such event is the annual, week long PRIDE celebration held in May. Since 2003, NHC has organized events that recognize the strong LGBT presence in New Hope and celebrate the history and culture of our scenic river town. Funding generated through New Hope Celebrates events is channeled back into our community to support our neighbors in collaborative business and cultural initiatives that make New Hope a great place for residents and visitors alike.